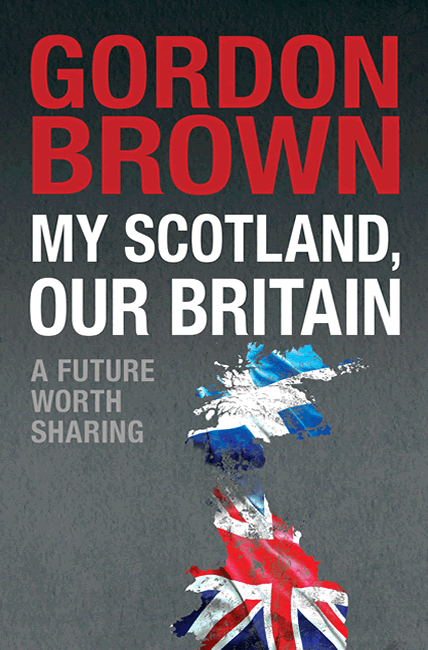 My Scotland, Our Britain: A Future Worth Sharing is a highly personal account of Gordon Brown’s Scotland, the nation he was born in, and our Britain, the multinational state that the Scots, English, Welsh and Northern Irish have created and share. Laying bare his family’s ancestry over 300 years of the Union and explaining how it shaped his background, Brown charts what it was like growing up in Scotland in the 1950s and 1960s, and explains the influence of religion, education and Scotland’s unique industrial structure on the shaping of his and Scotland’s identity. He sets out the dramatic economic, social and cultural changes of the past fifty years and the vastly different prospects his children will face, demonstrating that a sense of Scottish national identity has always remained strong and how Scottish institutions have always fiercely guarded their independence. The referendum should not be seen as a battle between Scotland and Britain, he argues, but one between two visions of Scotland’s future: one that sees Scotland prosper with a strong Scottish Parliament that is part of the UK, and one that severs all the political links Scots have with the UK. Brown puts forward his proposal for a constitutional settlement that could unite the country, and argues that in tune with Scotland’s history of deep engagement with the wider world – as inventors, explorers, traders, missionaries, business leaders and aid workers – the best future for Scots is not to leave Britain, but to continue to shape it. This is by far the most serious and important work about Scottish and British identity to have emerged as a result of the referendum debate. It should be required reading for anyone genuinely considering the arguments before 18 September, or what to do about the UK constitution thereafter. Brown has written an optimistic account as he wrestles with Scottish and British identities, which he regards as complementary. In the independence referendum, Scots will vote with their hearts and heads. Brown’s intention is to capture both.